In a move which is being described as a massive effort to bail out top private telecom giants, Bharti Airtel, Vodafone, Reliance, Idea, Tata and Aircel, the Government of India has “set aside” a crucial Comptroller and Auditor General (CAG) finding which talked of “understatement/underreporting” of income by them to the tune of Rs 46,045.75 crore. CAG's finding was for four years, 2006-07 to 2009-10, when the UPA ruled, and said that as a result "understatement/underreporting" an amount of Rs 12,488.93 crore had remained “unrecovered” by the government. This did not include penalty and other relevant taxes. Setting aside CAG's findings, facts have been brought to light suggesting that the Modi government has opted out of the CAG finding, even as setting up “alternative re-evaluation” of these companies through chartered accountants, who are empaneled with it. Calling it a major scam, the Congress, in a statement issued by its spokesperson Shaktisinh Gohil, said, because of the failure to recover the amount at a time when the six telecom companies have considerably increased their “business, consumer base and income”, the total amount unrecovered over the last five years – 2010-11 to 2015-16 – would have crossed Rs 45,000 crore. The allegation, which comes ahead of the monsoon session of Parliament, beginning on July 18, calls this as a clear example of how the Narendra Modi government is “aiming to help crony capitalists”, even if it means a huge loss to government coffers. The Congress called this as yet another NDA scam following Lalit Modigate, Vyapam Scam, Chhattisgarh PDS Scam, Gujarat GSPC Scam, Vijay Mallya escapade, Gir Lion Sanctuary Land Allotment Scam, Chhattisgarh Priyadarshni Bank Scam, Panama Papers Scam, and Fair and Lovely Black Money Amnesty Scam. 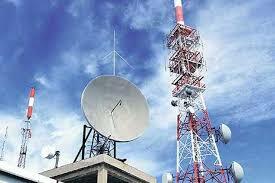 “Surreptitious step being taken by Modi government to protect the interest of six leading Telecom Companies by helping them avoid the payment of charges rightfully owed to public exchequer is glaringly apparent”, the statement said. We should not accept anything based on the views of Congress as they are the principal party who brought India to an abysmal level. Remove Congresswalas, India will shine.